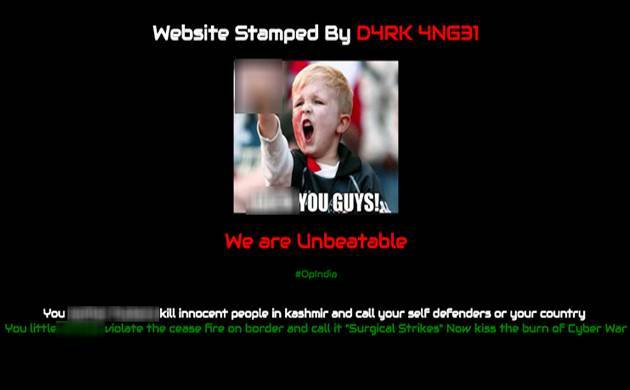 The website of the National Green Tribunal (NGT) has been hacked by unknown hackers. The website greentribunal.gov.in has a message which says "Website Stamped by D4RK 4NG31". Objectionable texts, gesture and abusive language have been used. A picture of child has been posted on the website along with a title that says, "We are Unbeatable." A music also plays in the background. The message posted on the website also talks about Kashmir, ceasefire violation, border and Surgical Strikes, The message seems to be an apparent reference to India, which recently carried out surgical strikes across the LoC.